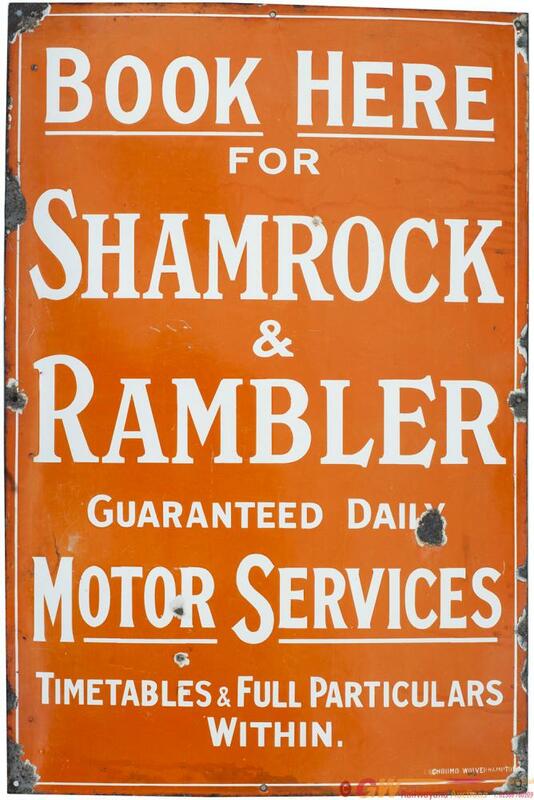 Bus motoring enamel sign BOOK HERE FOR SHAMROCK & RAMBLER GUARANTEED DAILY MOTOR SERVICES. In good condition with some chipping. Measures 24in x 36in.